Though it’s only about the size as New Jersey, Israel is rich with history and religious significance. It’s so historically significant, in fact, that several of its wonders are still being discovered. 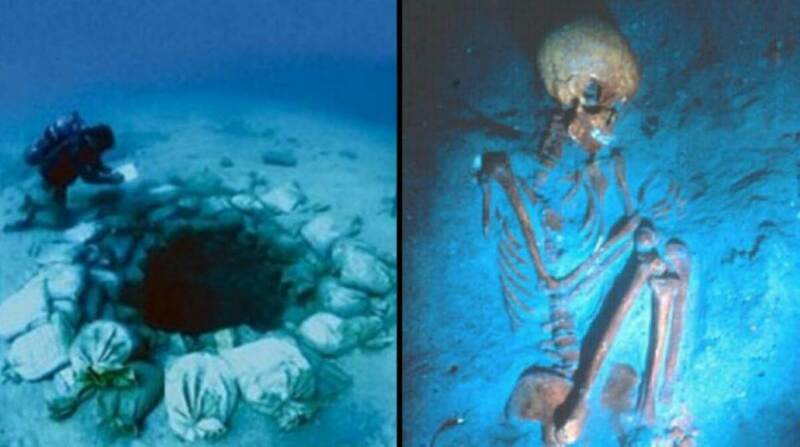 In 1984, a marine archaeologist was diving in the Levantine Sea off of the coast of Israel when he found something shocking. What he uncovered is still being studied to this day. Dr. Ehud Galili, a marine archaeologist, was deep sea diving in the Levantine Sea off the coast of Israel in 1984. Despite the dark and murky water, he managed to spot something extraordinary on the sea floor. Dr. Galili’s discovery was stunning: it was an entire underwater civilization, replete with stone walls, fireplaces, and wells, all covered by sea life. Dr. Galili returns to the spot every year, albeit only in the winter when the silt has been dislodged by storms. “We only excavate where there is imminent danger of destruction,” he said in an interview. The underwater city, called Atlit Yam, had its heyday circa 7000 B.C.E, though it may be even older than that. Not only was it the oldest underwater society ever discovered, but also the largest at 43,000 square feet. The people of Atlit Yam must have had a comfortable living, with stone homes, cleanly paved floors, and indoor courtyards. Almost 65 skeletons were found in the ruins, each one in remarkably good condition — as if their tombs were never touched. This allowed experts to learn a great deal about what life was like back then. Another fascinating find: a set of male skeletons that showed signs of ear infections, which signaled that they dove regularly into the chilly water. It was believed that they relied on the ocean’s vegetation to eat and survive. There was also evidence that the people of Atlit Yam raised and domesticated animals, as remains belonging to dogs, sheep, pigs, cows, and goats were found. That’s not to say these people weren’t also agricultural. Barley, wheat, flax, and lentil seeds were all found around the area. In fact, Atlit Yam was not that much different from any other Neolithic civilization. It was a fascinating time, as humans transitioned from hunting-gathering to agrarian societies, thanks to the use of tools. This also encouraged urban developments. Also found at the site were stones set in a circular formation. Though one had apparently fallen, the rest were still upright, as they probably had been for several thousands of years. Experts believed these rocks, or megaliths, marked the spot where ancient rituals were held. Each rock was engraved, and because they surrounded a freshwater spring, they were likely used to honor the spring or to worship the water. It was still unclear how the settlement was abandoned — and why it was destroyed. Scientists couldn’t even explain the thousands of fish bones discovered at the site. Experts knew this much, though: while Atlit Yam was inhabited, the eastern side of Sicily’s Mount Etna fell into the Mediterranean Sea, causing a 130-foot tsunami that slammed into several cities. A theory suggests that sea levels were still rising due to melting glaciers from the Ice Age thousands of years prior. Not only would that have forced people to move away, but it would have ruined their access to fresh water. It’s not difficult to believe that a village like Atlit Yam could have existed in the Fertile Crescent, where so much of human civilization was built. It was here that humans invented farming, irrigation, glass, and even the wheel. It’s amazing that more than three decades after Atlit Yam was first uncovered by Dr. Galili, discoveries within the site are still being made. Who knows what they’ll find next?